Lush, the fresh handmade cosmetics retailer, has opened a new store in Manchester’s Arndale shopping centre. 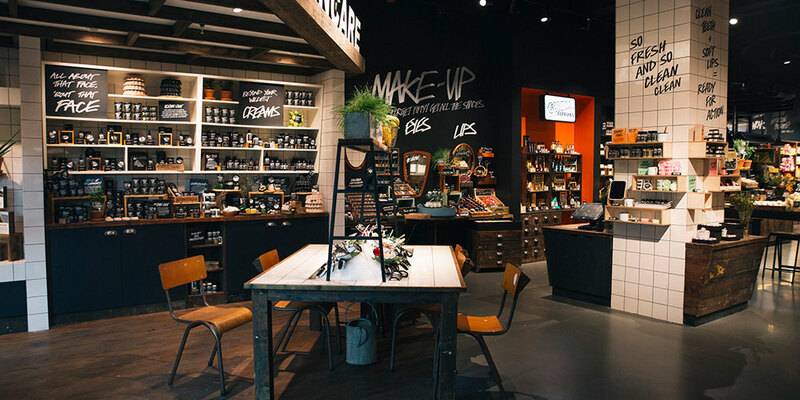 With an interior designed by Lush’s in-house team, the store exudes a welcoming feel that draws people inside. Michael Grubb Studio was appointed as lighting designer with a brief to create an immersive experience that would enhance the products on display, engage with customers and reinforce the Lush brand. Optelma worked with Michael Grubb Studio to supply the required lighting equipment that would realise this vision. The store includes a range of environmentally-friendly concepts, including the world’s first beauty project Greenhouse, together with a Party Booth and a Hair Styling Station. The interior features a palette of timber and white tiles, with neutral tones contrasting with bold graphics and the vibrant colours of Lush’s product range.Optelma’s linear LEDs and spotlights combine to create layers of light, forming a dynamic, energy-efficient environment. At the entrance and within the store window, Optelma’s Kege adjustable downlights provide a flexible solution. These fittings are same size as the tiles, and therefore integrate neatly into the ceiling. Moving into the store, the Karma recessed downlight offers adjustability and a strong aesthetic. State-of- the-art LED technology, the Xicato Artist chip, ensures a consistent colour appearance, and with a CRI of 98 its accurate colour rendering brings out the vibrancy of the products. The Karma downlight is also used in the Skincare area, at the back of the store, a repeat which helps to tie the scheme together. Optelma’s track spotlight, the Dart 76, also powered by Xicato Artist chips, lights the main space. A beam angle of 24 degrees minimises glare and ensures light is focussed on the product, providing depth and a sense of theatre. 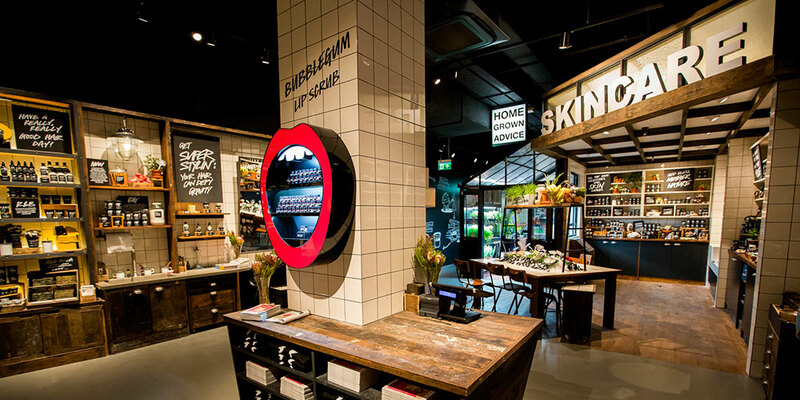 Throughout the main store a warm colour temperature of 2700K – as opposed to the retail norm of 3000K – complements the tones of the timber and tiles, creating an engaging environment. Around the cash desk, a bespoke Optelma trough pendant delineates the space, ensuring it is easy to find, while giving effective light for completing purchases. Towards the back of the store, the Greenhouse offers a space for houseplants to grow, which are then used within products. Optelma’s Dart 76, with a cool colour temperature of 4000K, adds to the feel of a daylit space. A framework agreement recently signed demonstrates the success of this collaboration. 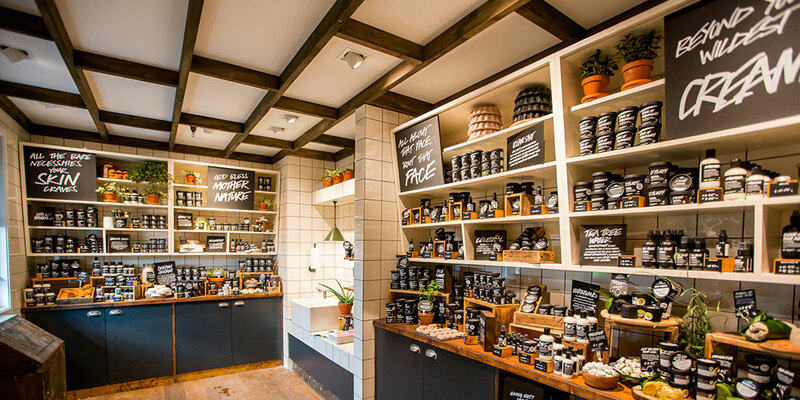 This sees Michael Grubb Studio providing lighting designs for Lush stores worldwide. Optelma is working with Michael Grubb Studio on a number of projects, including Lush stores in Bournemouth, Bristol and Cardiff, and in Amsterdam, Madrid, Milan, The Hague and Hong Kong.